My end of studies project (ESP) explores the topic of travels. I wanted to pass on the feeling and the good parts of travels within a short immersive touristic visit experience, at the heart of past historical heritage. In order to carry out this project, I worked in partnership with the Castle of the Dukes of Brittany in Nantes, a very rich heritage place. Based on the visit of the museum of Nantes located inside the castle, I offer a virtual tour of a museum where we can find the town’s relics previously seen in the real-life museum. It is then possible to freely observe and manipulate them; they take the user into a short interactive story centered on the relic’s context, at its origin era, where the user has a role to play. This project lasted a whole year and my good results have allowed me to get it to an advanced state and also to validate my Master’s Degree. To develop the prototype I used Unity for programming and a HTC Vive to practice. Midway between video games and museums, I offer a new touristic immersive adventure within a heritage place. 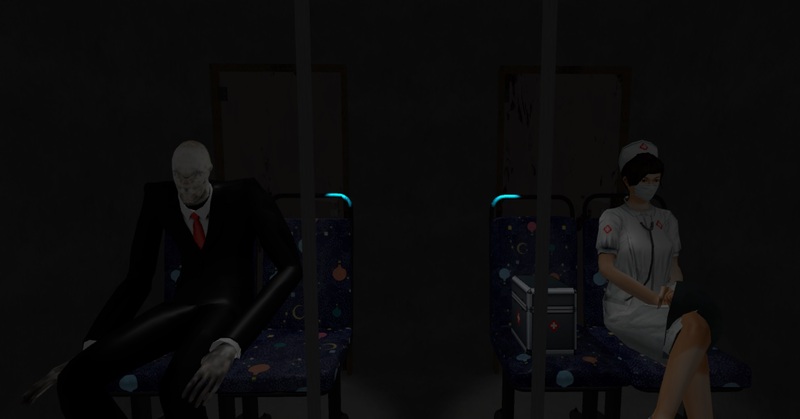 ObserVR – MISERY is an immersive experience about time travel. As a team we choose an emblematic spot in Nantes, France. The user can observe the city nowadays: the square around, the trees, buildings and other details. A cat is part of the scene, inspired by a real cat living around the place. The user can grab a bag in real life that virtually represents a dry food pack, in order to feed the cat. It will ask for food and once it is fed the scene changes and the user is teleported 100 years from now. They can discover the new Nantes where a lot of things have changed. This project was about building a realistic scene with good quality meshes, ambient sounds and animations. Unity 3D allows us to do so and we were able to present our immersive experience in several fairs and exhibitions in France. In groups of three students, we made a little game in a workshop that lasted an entire week during the middle of my first year of Interaction Design. The school gave us a massive kit of Meccano pieces and a MaKey MaKey kit. Thanks to the Meccano pieces, I built a joystick that I mixed with MaKey MaKey contacts to control our game. My teammates made the graphic interface and the program linked to the controller I made. 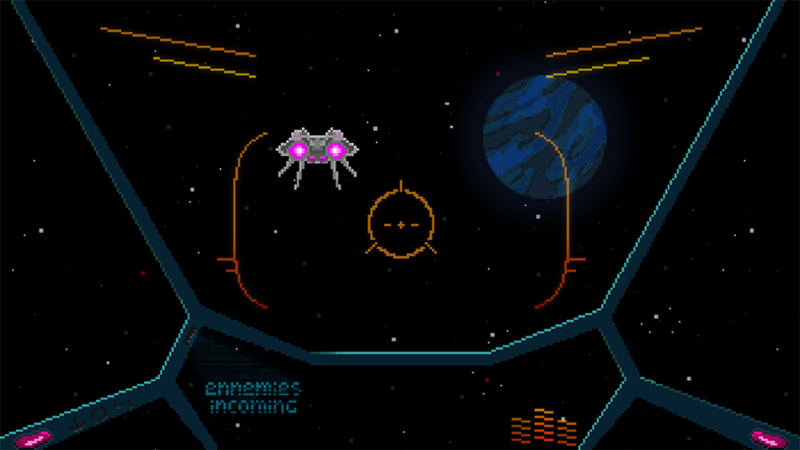 In the end, we produced a space shooter where the joystick allows to look up, down, left and right, to aim at enemies that spawn around the player and shoot them. At the end of 2015, Julia Peguet, a stop motion video animator from Studio Aardman came at school to introduce us stop motion video. She gave us courses and methods and then, our mission was to make our own stop motion video. In groups of three students we chose a submarine place where we gave life to a whale-like creature represented by a stapler. Basically we had to take a picture between each micro moves of the subject, fish and scenery elements. It was a meticulous work of patience and precision. In this short stop motion video, we criticize the massive amount of garbage in the ocean by making our creature die because of the plastic it eats. Mainly using 3D Studio Max, I learned to model several shapes and objects. 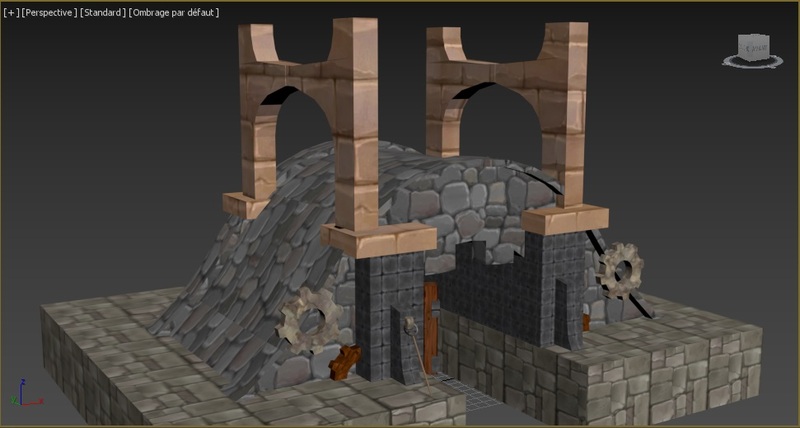 I also learned about mapping textures and putting materials onto models. I ended up knowing how to put a rig and applicate an animation to it, bringing models to life. Here you can see different examples on architecture and characters. Validating my bachelor's degree, I had to find a personnal subject. This big project is called LUX. I always wanted to work on lights so I made searches that made me notice a big issue: the North European countries can’t see a bit of sunlight during a part of the year.Inspired by luminotherapy and sunlight health benefits, I found a solution to confront this seasonal depression.I designed and prototyped a small projector linked to a mobile app. 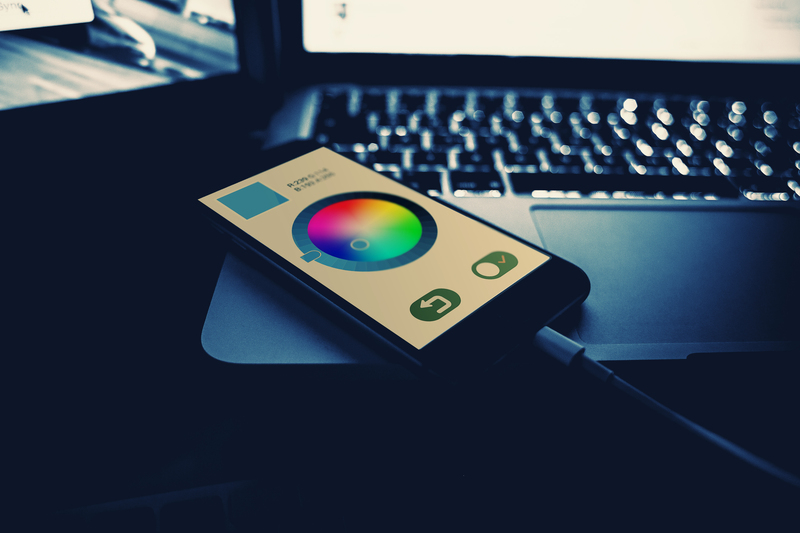 It is equipped with a full spectrum lightbulb in order to imitate sunlight and its benefits. It projects a powerful zone of light on surfaces, and can adapt the color related to the mood you want to have or the energy it can trigger naturally. This product can fake an entire day and night cycle inside a home to help you waking up, having the right amount of vitamin D you need and make you feel better in different situations. Stereolux is a place in Nantes where you can enjoy exhibitions about digital art but mainly concerts and other musical events. READiolux is a workshop for which we had to make exhibition devices presenting different aspects of Stereolux. With two teammates we developed a big box inspired by arcade machines and jukeboxes. Featuring a paper ghost hologram display and speakers, we designed a machine on which you can see the diversity of bands that came to Stereolux. You can also see detail on the country they come from, the genre they play and the notoriety they have. This is the second video game project. I made it with a classmate during my third year of Bachelor’s Degree. Inspired by internet art vaporwave and synthwave we created an oneiric place where the player controls a spaceship and has to back up his memories, symbolized by floppy disks. 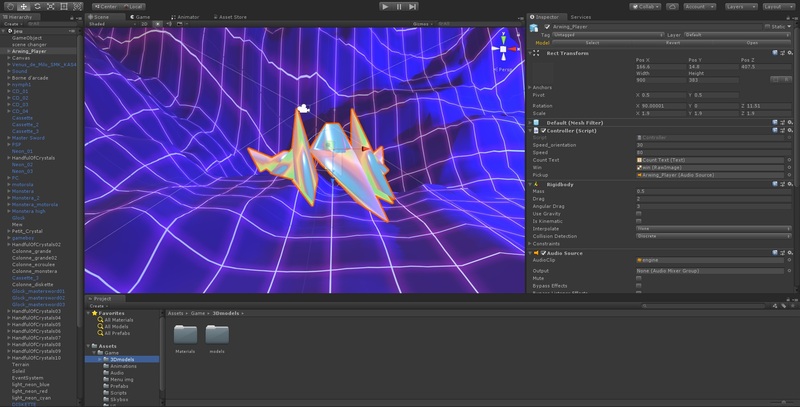 I learned to create 3D scenes in Unity, to place meshes around, create a spaceship as player object, design 3D sounds and add pickable objects. Control the spaceship, fly around and find your lost memories in this little experience called Retr0neiric Journey. CHAOS is a big project starting with the idea of how to treat stress. With two teammates we decided to focus on students’ stress. Teenage time is tough; you ask yourself questions about your future life, so we chose dilemmas as a main subject. Thanks to Unity3D we created an VR immersive experience that makes the user face truly chaotic choices and dilemmas. The goal was to train being confronted to dilemmas that can be related to choices teenagers have to make in real-life situations. The user goes through many tiny rooms where he will be stressed-out and has to quickly make choices. At the end, he virtually meets a professional of stress treatment in a museum-like, welcoming room. This avatar can analyse his performances and debrief his personal posture towards everyday life stress. In this room he can also observe panels on which he can see his different ordeals in each room from a different point of view. Around the start of the first year in Interaction Design, all of the students had to produce a short documentary video in groups of five, as part of a one week seminar. Thanks to theoretical contributions during the first day, we learnt basic skills about making a documentary video. Then we scheduled our week to decide the moment when we had to write the storyboard, then filming all we needed, and finally we edited the video. My personal work was to manage the team, to film with the camera and to participate in the editing part. The final result, a three minutes documentary video on the Glasses Designer Naoned, was very well received by the jury. Hi there! 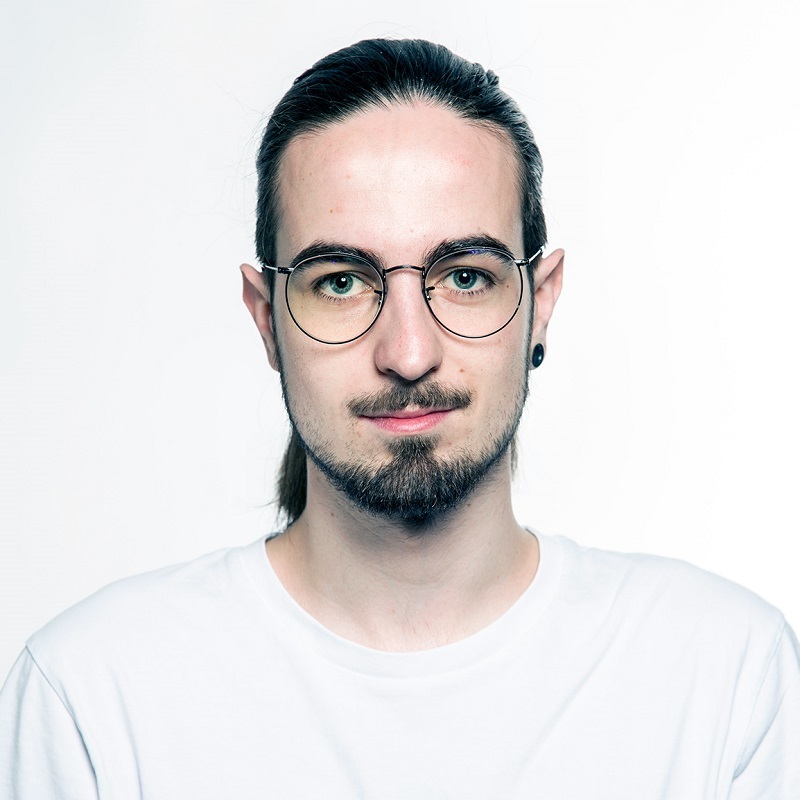 I'm an UX, interaction and immersive design student at L'École de Design Nantes Atlantique. During my years of study I have mainly learned to design websites, to make photography and videos, to produce my own graphic design on projects, to create 3D models and make animations, to develop game contents and immersive environments, all of it obviously adopting a typical design work method. Beside from school, I'm very passionate about videogames, photography, video-making, cinema, electronics and Japanese culture. I'm currently looking for a 4 to 6 month internship.